An exhibition of all short-listed entries will be held in the RIAS Joyce Deans Room at 15 Rutland Square in the run up to the awards event. highest accolade of Building Of The Year. 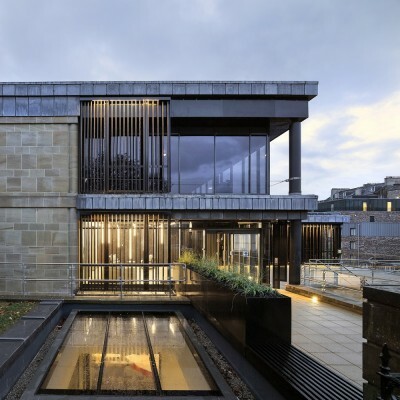 Entries invited for the RIAS / RIBA Awards for Scotland 2019. As the level of housing completions continues to head in the right direction according to statistics published today, the country’s home building industry urged the Scottish Government to build on this positive news to enable it to deliver more of the homes Scotland’s growing population needs. Citing a recent report from the Fraser of Allander Institute which highlighted that for every £100m of demand for commercial development an additional £73m is produced for the economy, the letter details nine key actions that the Scottish Government could take to support the growth of Scotland’s real estate sector. 9. Increase the threshold of LBTT on residential property transactions so that the 10% rate does not apply until £500,000. Nucleus, The Nuclear Decommissioning Authority and Caithness Archive, Wick by Edinburgh architecture office Reiach and Hall Architects wins the RIAS Andrew Doolan Best Building in Scotland Award for 2018. 7th of November 2018 – Industry body Homes for Scotland (HFS) has announced its support of the work undertaken to end homelessness throughout the country through a new charity partnership with social enterprise Social Bite. The Royal Botanic Garden Edinburgh is to commence a major transformation of its glasshouses in order to improve its visitor experience, research and education. Suitable for both professionals and students, this event covers issues and disputes within the context of real-life experience. 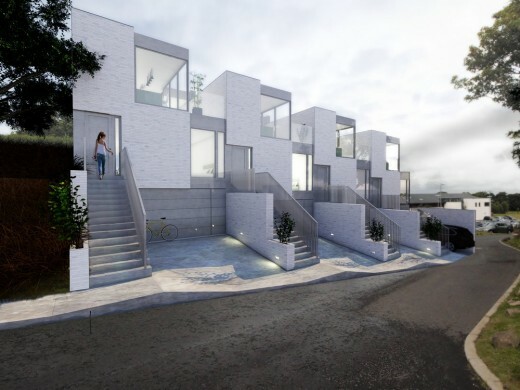 With the Chancellor announcing an additional £500m for the Housing Infrastructure Fund to help unlock up to 650,000 homes in England, Chief Executive of industry body Homes for Scotland Nicola Barclay called for a level playing field north of the border. 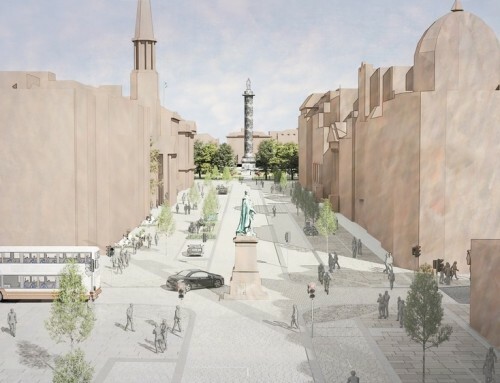 Read more on the Glasgow Architecture news page. Architects and clients from five different projects talk about their 2018 award winning projects. This packed evening will include short presentations on each project followed by some drinks and a chance to socialise with speakers and fellow attendees. “Land Value Capture is a topical subject with broad political support but, unfortunately, this amendment is a premature and poorly thought through way of trying to achieve it. “Whilst it has been clear since Stage 1 of the Bill that the opposition parties were keen to use the Planning Bill to get the words ‘land value capture’ into legislation, it is disappointing they’ve done it in a way which seeks to disadvantage one set of landowners over others – as the proposed approach will only affect people whose land will, at some stage in the future, be designated by a council as a ‘Masterplan Consent Area’. “It is also somewhat misleading since the compensation landowners get when land is compulsorily purchased is usually much lower than the full market value they’d have got from developing it or securing planning permission themselves. So the additional cash being anticipated for affordable housing etc isn’t likely to add up to as much as supporters might be hoping. In fact, the amendment could mean some people getting more compensation than would otherwise have been the case. More info on the Glasgow Architecture news page. Duddingston House Properties and Urbanist Hotels, co-developers behind a hotel vision for Edinburgh’s Old Royal High School, have reaffirmed their commitment to press ahead with the project following a public inquiry. 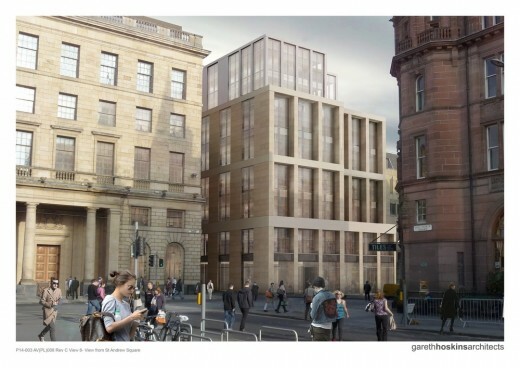 Over the past month the Scottish government has been considering evidence in the developer’s vision to bring a ‘world class’ Rosewood Hotel to the city, despite the Hoskins Architects design being thrown out by the city council last year. The Bayes Centre Building is a pivotal piece of the University of Edinburgh’s estate set to transform Edinburgh city centre into one of UK’s most dynamic places for tech, attracting the highest calibre of international experts in data science and artificial intelligence. 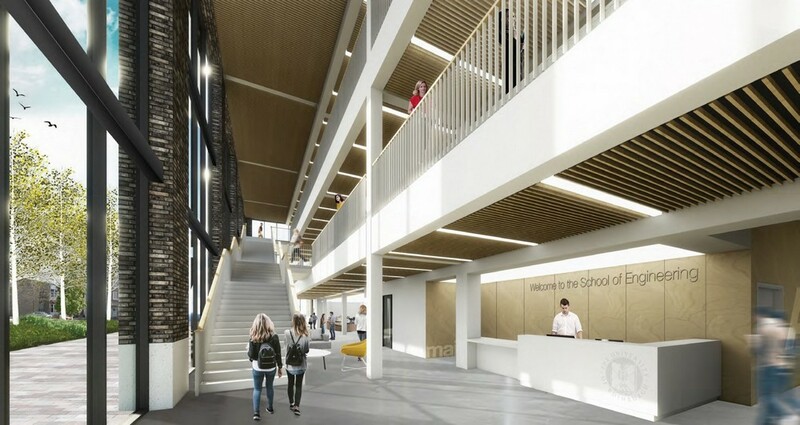 The University of Edinburgh has partnered with architects BDP to create a new School of Engineering within the King’s Building campus, report urban realm. Offering 6,500sqm of floor space the five-storey build is the first element of a five-phase masterplan for the site which will see the entire school relocate to the site by 2025. 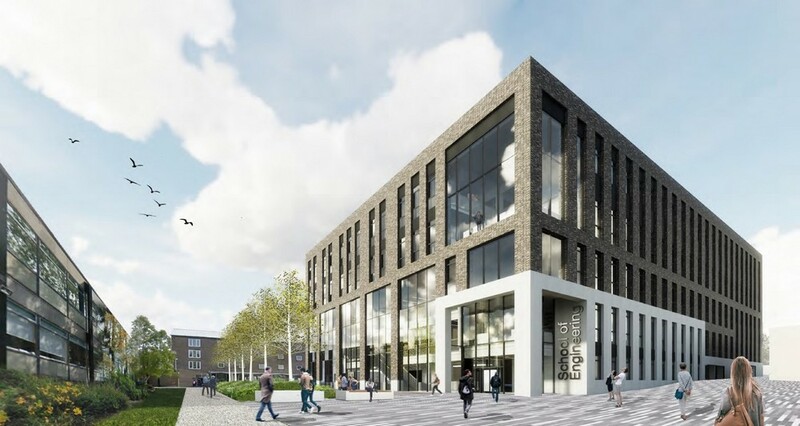 Phase one construction works are expected to begin by the third quarter of 2019, adhering to an original masterplan first conceived by Page/Park Architects and subsequently revised by Bennetts Associates. 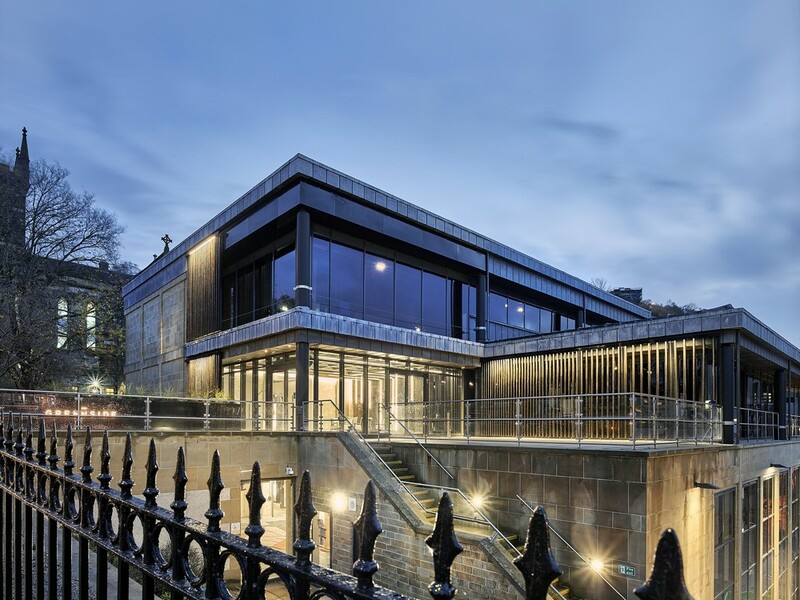 Edinburgh’s City Observatory on Calton Hill is to begin a new life as a spectacular arts venue. Ennismore, owner of the famous Perthshire estate and golf resort, will take over two empty premises at St Andrew Square with the 33-bedroom Gleneagles Hotel, report the Edinburgh Evening News. The hotel will be located in the former Bank of Scotland premises next to Dundas House, which closed in 2016. 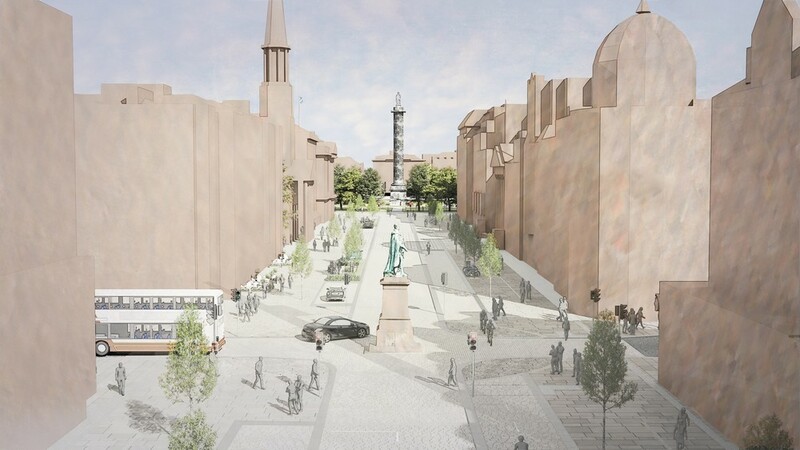 A bronze-coloured rear extension called the garden pavilion will be constructed as well as a new rooftop terrace for members, subject to approval from the City of Edinburgh Council. 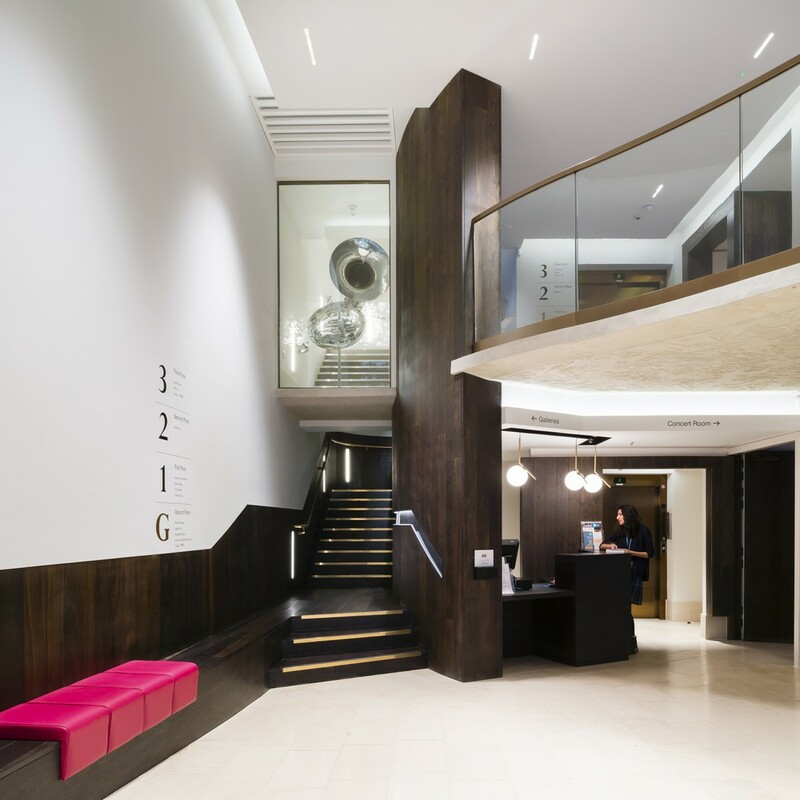 31 + 29 Aug 2018 – The RIAS/Saint-Gobain Emerging Architect Award recognises the crucial role architects play in delivering a better world and encourages the great architects of the future at the outset of their careers. 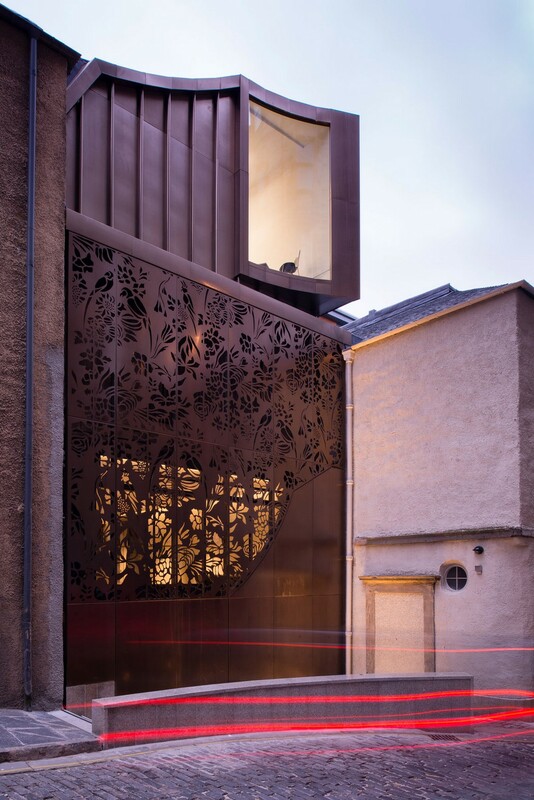 One project distinguished with the Emerging Architects Award: St. Cecilia’s Hall. 24 Aug – The RIAS announce that there are two Presidential Candidates for the upcoming election. Online voting will open the week commencing 10th September and close on 1st October 2018. Congratulations to Alan Jones FRIBA Hon RIAS who has been elected the next President of the Royal Institute of British Architects (RIBA). Alan will take over the two-year presidential term from Ben Derbyshire next year (1 September 2019); from 1 September 2018 he will officially become RIBA President Elect. As the UK prepares to leave the European Union, the RIBA would like your help to better understand the main issues facing those from outside the UK who are working in architectural practice. Please give five minutes of your time to complete this survey. All data will be recorded anonymously and kept completely confidential. Your response will only be seen by the survey team. Entries to the GIA Design Awards opened on 1 August . The annual GIA Awards are recognised at local and national level and are one of the main highlights of the annual GIA programme. Candidates for President of the RIAS and for Nationally elected positions can download the relevant forms and guidance notes. 15 August 2018 (and will be acknowledged). Keep an eye on the website where you can keep up to date with facts about how you can vote and find details about the election process. Student/Associate Elections will be held in the new academic year and details for nomination will follow. Could you help with a new editorial group to deliver and evolve the RIAS Quarterly? The RIAS President is setting up a small working group to look at improving the magazine as part of an initiative to refresh areas of the Incorporation’s endeavours. If this is something you would like to be involved in, please contact Carol-Ann Hildersley. As the current BEFS Chair, Dr Graeme Purves, is stepping down at the next AGM in December, BEFS are inviting expressions of interest from potential candidates for the role. If you are interested in the position of BEFS Chair then please write to the BEFS Director, Euan Leitch in the first instance, outlining (no more than one side of A4) why you would be a suitable candidate for the post. Please also include a brief career synopsis (maximum 500 words). Hanover (Scotland) Housing Association are currently seeking new board members for their governing body and are specifically looking for a member with property and development expertise as they are a housing association that does new build developments each year. This consultation seeks to obtain the views and opinions of stakeholders on a review of building and fire safety regulatory frameworks in order to help ensure the safety of people in and around Scotland’s buildings. • The first part relates to the roles and responsibilities of people verifying, inspecting and certifying building work and strengthening enforcement of and compliance with building regulations. • The second part of the consultation covers specific fire safety standards relating to external cladding and cavities, escape, the provision of sprinklers and finally, the proposal for a “central hub” for verifying complex fire engineered solutions. ADP decided to launch a challenge to the practice, to encourage employees to take time out, and reveal their creative talent. All the artwork has been generously donated by ADP’s employees, and the funds raised will be donated to charity: the Marudyan Society (which funds education for deprived children in India) and Macmillan. Industry leaders and a 2017 star join RIBAJ’s hunt, in association with Origin, for construction’s Rising Stars. To be eligible you should have completed your professional training (Part 2 for architects) 10 or fewer years ago as at Friday 7th September 2018. We need: Your details: a short biography; why you should be a RIBAJ Rising Star; referee comment; a selection of images and your answer to two questions: What would you most like to improve about the industry? What existing building or place would you most like to tackle? 1 Aug – The RIAS Strategy Group (Chapter representatives) have agreed a timetable for adopting the new five-year strategy and as part of the drive to ensure that members are consulted as widely as possible- each Chapter is doing this in its own way. Some chapters are planning questionnaires to send to members and non members in their areas: others are holding workshops such as the Coarum series organised by the EAA. 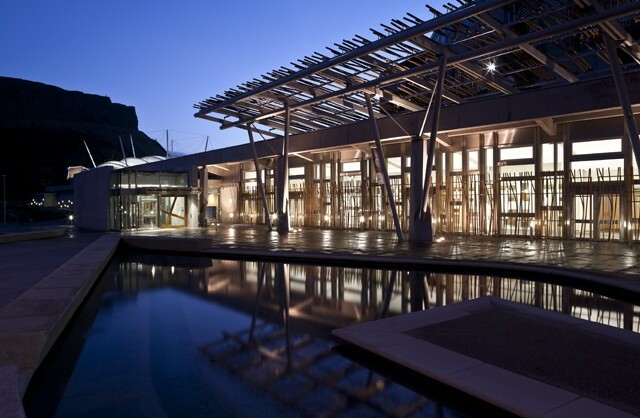 1 Aug – Doors Open Days is Scotland’s largest free festival that celebrates heritage and the built environment, new and old. Every September, you can explore hundreds of fascinating buildings across Scotland for free. Some open up once a year, some just once in a lifetime. 26 Jul – A new exhibition which showcases the Old and New Towns of Edinburgh, as well as Scotland’s five other World Heritage Sites, opens today at the historic Tron Kirk on Edinburgh’s Royal Mile. The exhibition, housed within the atmospheric 17th century former kirk, attempts to capture the essence of the World Heritage Site in Edinburgh through the voices and opinions of local people. The story is told in a series of videos, quotes, and specially commissioned portraits from award-winning Scottish photographer Alicia Bruce. 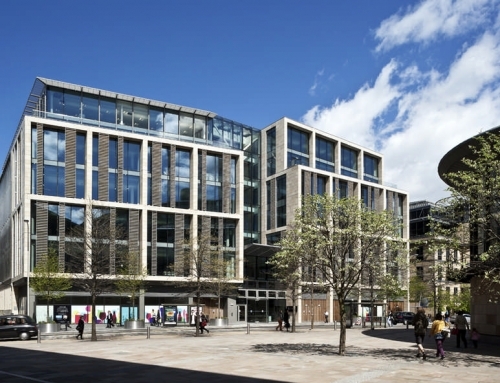 11 Jul – Chris Stewart Group (CSG) has confirmed that the award-winning Greenside office building in the burgeoning east end of Edinburgh’s city centre, has been acquired by Leading Cities Invest (LCI), a real estate investment fund managed by Frankfurt-based KanAm Grund Group. 6 Jul – Glenmorangie broke ground on a new still house, part of a multimillion pound expansion designed to position the single malt whisky for a strong, successful future. This significant investment in the Highland Distillery, which this year celebrates its 175th anniversary, will enable Glenmorangie to meet soaring global demand for its award winning single malt Scotch whisky. 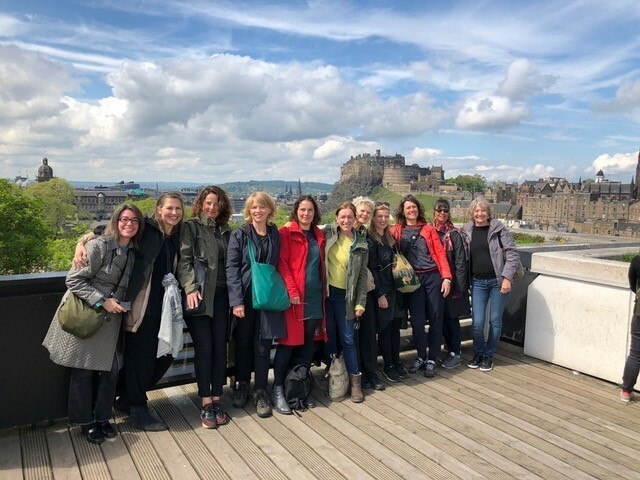 On behalf of members of the British Polio Fellowship in Scotland, we welcome calls to make councils responsible for ensuring businesses provide adequate wheelchair access. There is now a very real need to enforce the Equality Act. 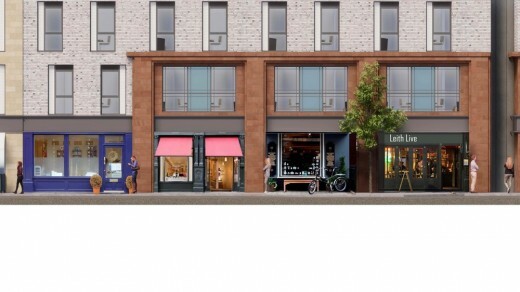 This cause has been taken up by Christine Jardine MP and constituent (Shirley Todd), after finding 72 percent of businesses around Lothian Road in Edinburgh were not accessible. Our experience is this is not an isolated case but an issue for Scotland and indeed, the wider UK. 13.4 million people with a disability deserve better and proactive enforcement may be the only solution. As a former business owner myself, I understand some fear accessibility means increased costs for a high street already struggling. Reasonable adjustments to make life easier however need not cost the earth and help and understanding go a long way. 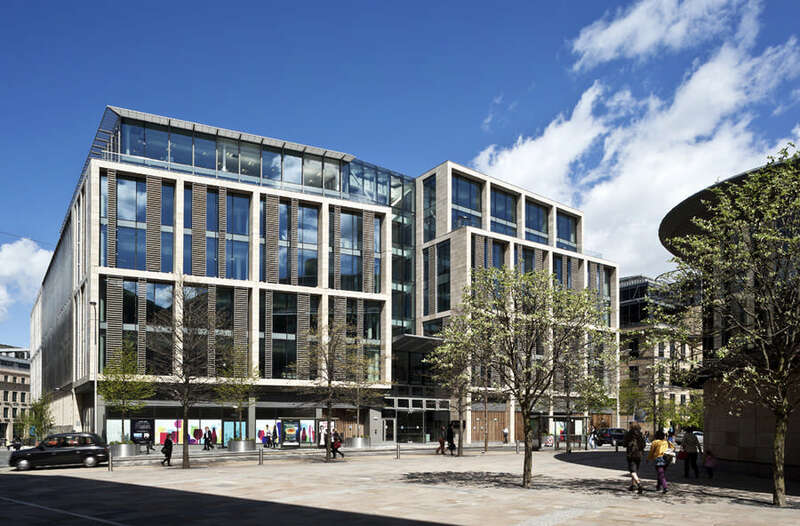 Chris Stewart Group (CSG) has confirmed that it has pre-let the office space at 20 West Register Street, designed by Hoskins Architects, part of the award-winning property developer’s £85 million regeneration project at ‘The Registers’ in Edinburgh’s city centre, to Baillie Gifford. The Leith Fort site is approximately 1.7 hectares and sits within the historic confines of what was once Leith Fort. The site is surrounded by an existing category B-listed stone wall, the remains of the former Leith Fort. The proposed housing consists of 94 new-build residential units and a communal green space. “The areas of significant concern are the east elevation, the west elevation and sections of the south elevation. 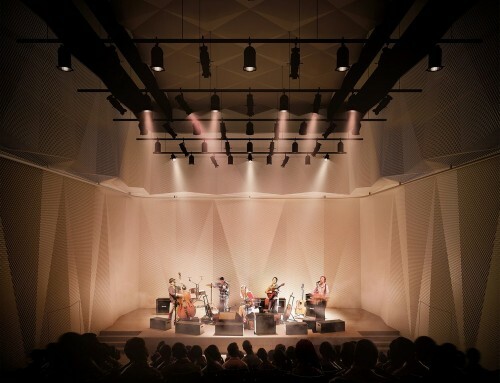 “The plan of works will involve…undertaking extensive down-takings and potential structural bracing. 20 June – Sprinkler systems to protect against fire. Legislation to make sprinkler systems compulsory in new social housing is to be taken forward. Housing Minister Kevin Stewart confirmed that the Scottish Government will take forward David Stewart MSP’s proposal for a Members’ Bill to make it a legal requirement for all future new build social housing properties to be fitted with sprinkler systems. Currently all new high-rise domestic buildings, whether private or social, with a floor over 18 metres must have automatic fire suppression systems fitted. 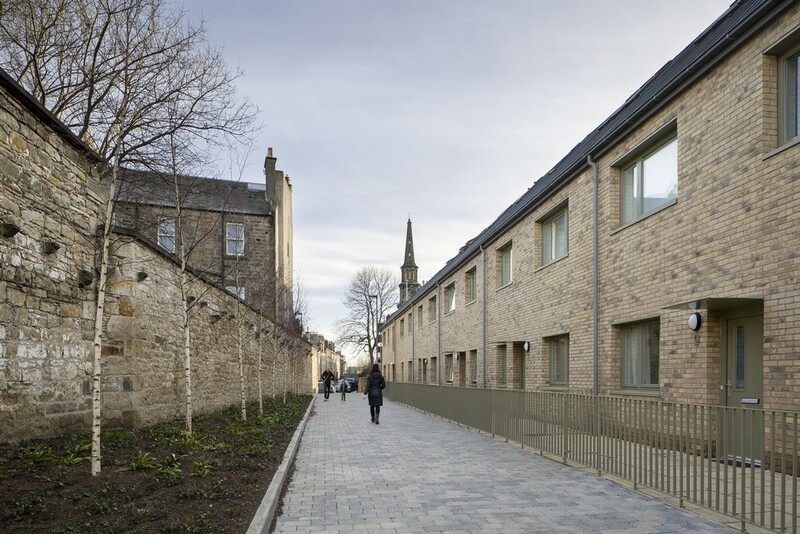 19 June – A Saltire Award-winning concept that unites the priorities of healthcare, housing provision and tenant welfare is welcoming its first tenants in the Highlands today. Fourteen people can now call the ‘FitHome’ village in Dalmore, Alness, their home, as the pilot development delivered by Albyn Housing Society, in partnership with Carbon Dynamic and NHS Highland, welcomes its first residents ranging in age from 18 to 90 years old. 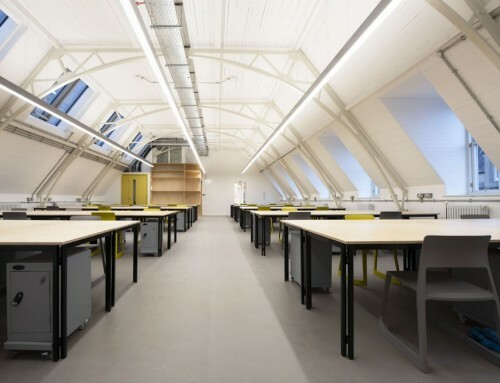 18 + 16 Jun – The Glasgow School of Art suffers a catastrophic fire for the second time in four years, with more than 120 firefighters sent to fight the blaze on Friday night. The Scottish fire and rescue service said the fire in the Mackintosh building had spread to neighbouring buildings including the O2 ABC nightclub. 15 Jun – SNH launch a ground-breaking new approach that makes nature a key factor at the ‘idea stage’ of successful building projects. To inspire developers on the benefits of nature from the outset, SNH is launching its innovative approach – Planning for Great Places. The aim is to help Scotland become the best place to live, work and visit, by directing development to where it is needed, and is the best fit. Doors Open Days want to share your thoughts on aspects of the past, present and future of our built heritage, if you are an architecture student or a recent graduate. Please get in touch with the Scottish Civic Trust to be featured on the Doors Open Days website. Contact Carmen at carmen.hesketh@scottishcivictrust.org.uk for more information. She will interview you and share your stories through a series of Doors Open Days news stories in July. Are you 16-25? Do you want to Explore Scotland in September? 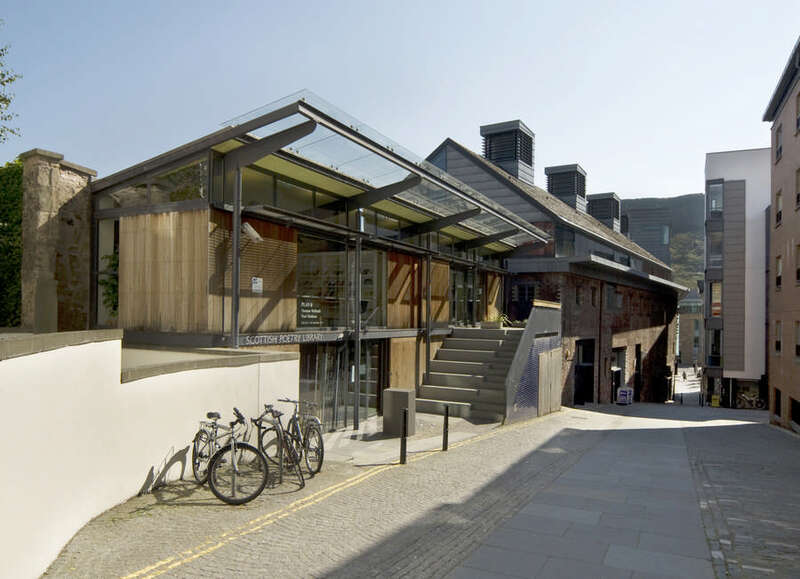 See the BRAW BUILDINGS competition and you could win accommodation in one of 6 Youth Hostels across Scotland – for Year of Young People in partnership with Hostelling Scotland and Doors Open Days. 12 June 2018 – Scotland’s home builders today welcomed official statistics showing a 4.8 per cent increase in the total number of housing completions in 2017 (17,739) but highlighted the tough task ahead in tackling the country’s housing crisis as the figures equated to just 806 extra new homes on 2016 (16,933). At its meeting yesterday, RIAS Council discussed significant proposals to update the constitutional arrangements of the Incorporation. Council confirmed the interim Bye-laws needed as key steps to allow Council to put in place further reform of the Incorporation to reflect the membership’s priorities and aspirations. A Special General Meeting (SGM) is now called on 28th June 2018 to allow proposed changes to the Bye-laws to be considered by the wider membership of the RIAS. 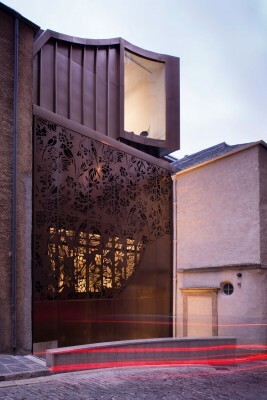 More details on our Glasgow Architecture news page. 7 June – National Museums Scotland has acquired a rare and important wash stand by Charles Rennie Mackintosh. A highly significant example of Scottish 20th century design, the piece with go on permanent display from today to coincide with the 150th anniversary of Mackintosh’s birth, on 7 June 1868. The acquisition has been made possible with generous support from Art Fund and the NMS Charitable Trust. The wash stand is now on display in the Design for Living gallery at the National Museum of Scotland. Dating from 1917, the wash stand is a rare example of Mackintosh’s later work and was made by skilled ‘enemy intern’ cabinet makers at the Knockaloe Internment Camp on the Isle of Man. Friday 25 May 2018 – Craig & Rose, one of the oldest established paint makers in the UK, has selected Edinburgh for its first dedicated showroom in Scotland. The showroom in Stockbridge (13 Deanhaugh Street) Edinburgh is part of a store roll-out campaign which complements the recently opened London store in Chiswick. The new Edinburgh showroom is less than two miles from the original Craig & Rose factory in Leith, where the company was founded in 1829 by two young Edinburgh entrepreneurs James Craig & Hugh Rose. Today Craig & Rose paints continue to be produced in a purpose-built factory in Scotland. Phil White, General Manager at Craig & Rose, said: “The opening our first showroom just had to be in our home town of Edinburgh, the home of Craig & Rose and the source of all of our 1829 paint range’s rich heritage. “Our team in Stockbridge will be offering personalised expert advice and a bespoke colour consultancy service to customers browsing in our new showroom together, where our complete range of colours is on display to both sample and buy. 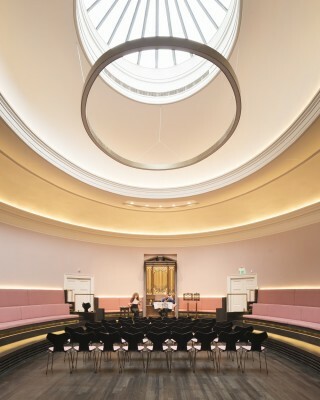 The Edinburgh showroom features the full 1829 Vintage Colour Collection, a curated palette of 110 vintage colours from the Craig & Rose archive, and a wall of hundred of more mixable colours, where budding decorators and interior designers can see how the colours would look in situ and select samples. The Artisan Effects Range is also on display, featuring the unique Copper Patina and Rust Effect paints and the on-trend Concrete Effect paint and Glitter Glazes. Craig & Rose is one of the oldest established paint makers in the UK. An establishing principle of the firm was a dedication to quality. Traditionally when paint was milled, grinding the base raw materials that came from all over the world – where competitors ground twice, Craig & Rose were known for triple grinding. Craig & Rose won the tender to paint the iconic Forth Bridge in the 1880s and provided the paint for over 100 years. Many famous public buildings including the National Portrait Gallery, St Pauls Cathedral and Brighton Pavilion have chosen, and still choose Craig & Rose paints. Craig & Rose is proud of its Scottish roots and its paints continue to be produced in a purpose-built factory in Scotland. The Sco.Mo Project is a Landscape Institute Scotland funded project that is here to promote and implement the documentation, preservation and celebration of Scottish Modernist Landscape Architecture (1945-1999). The project is currently in its early phase – although we aim to eventually be an online resource for projects from this period, including information, photos, articles and interviews, we first need to collate and catalogue all the important sites. This is where we need your help. This year the RIAS’s Festival of Architecture will support events through its ‘brand’ to bring a focus to Architecture during the autumn. There has been a successful pairing of Doors Open Days and @RIASFest over the last two years and the RIAS have been invited to join the initiative this year. This is an opportunity to open the doors of your architecture practice, architect designed house or building to the public and being part of your local Doors Open Day programme. The deadline for inclusion in the Edinburgh Doors Open Days 2018 printed programme is Sunday 10th June so if you wish to participate please contact Joseph Taylor on admin@cockburnassociation.org.uk and copy in veronica.low@rias.org.uk as soon as possible. If you are interested in opening your architectural practice and/or conducting a tour or a ‘talk’ to promote architecture or the work of your practice during the month of September and would be interested in it being promoted as part of Doors Open Days and the Festival of Architecture please contact info@festivalofarchitecture.scot as soon as possible. The will put you in touch with your local Doors Open Day organiser. 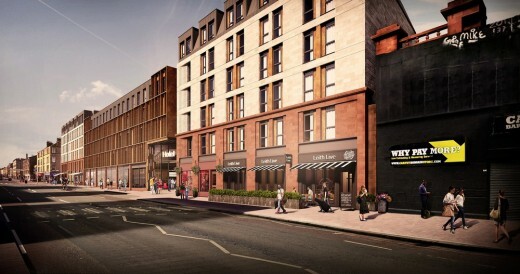 17 May – Buchan House – 3DReid to deliver Malmaison city centre hotel on Edinburgh’s prestigious St Andrew Square. 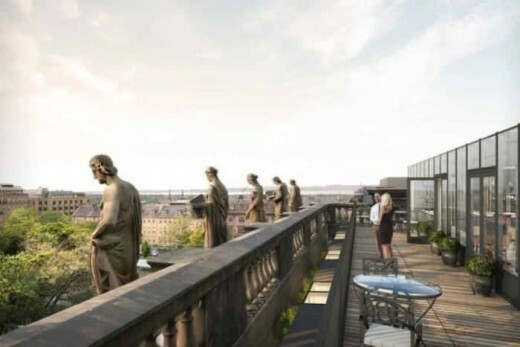 Malmaison Hotel du Vin Group has teamed up with property developer S Harrison to transform a Grade A building on Edinburgh’s prestigious St Andrew Square into a boutique hotel, Malmaison. “We welcome the engagement we have had with Dame Judith Hackitt and, while her report looks specifically at the system in England and Wales, we will look closely at the findings to ensure that any lessons or actions that may be needed are swiftly considered in Scotland. 14 May – Drum Property Group has redesigned its proposals for Stead’s Place, Edinburgh following extensive consultation with the local community. 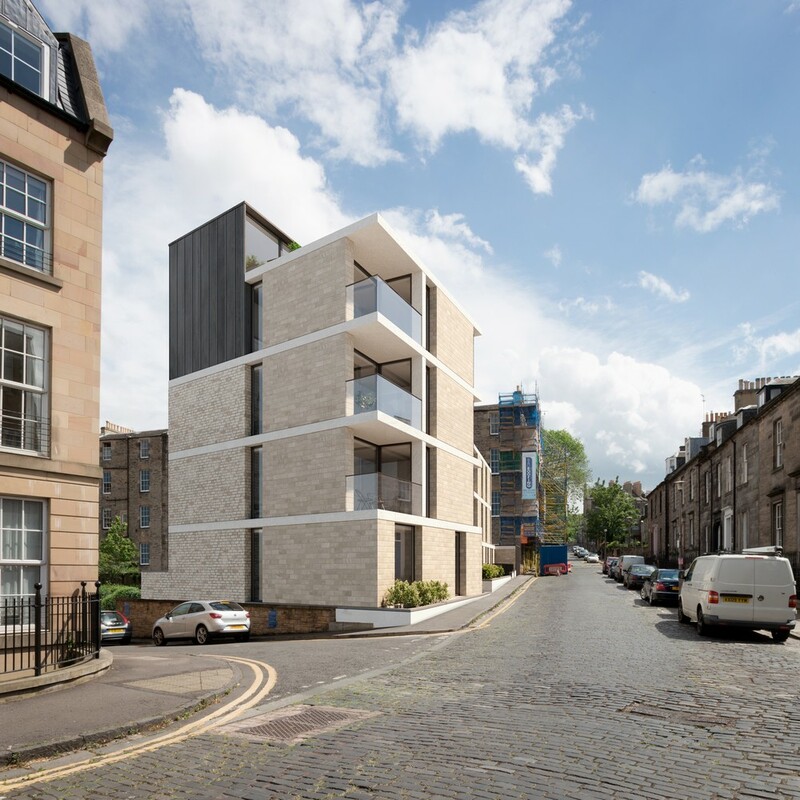 13 May – LBA, a leading Edinburgh-based firm of architects, have recently secured Planning approval for the eleven-apartment luxury residential development in the city centre. They are also delighted to announce their appointment to take the project forward with housing developers Mactaggart and Mickel, who purchased the site with planning approval. 11 May – Kilmartin Museum has received a confirmed grant of £3.2 million from the Heritage Lottery Fund (HLF) for their Redevelopment Project. The project aims to transform Kilmartin Museum into a landmark venue that interprets and celebrates the global significance of Kilmartin Glen, one of the most significant archaeological landscapes in Britain. 10 May 2018 – An award-winning regeneration company is gearing up for an ambitious year with plans to build more than 250 homes across Scotland. Urban Union – which has sites in Glasgow, Edinburgh and Perth – is committed to creating high quality accommodation, with a significant number of its stock being affordable housing. New Channel 4 Regional HQ in Scotland? 8 May – Research by leading UK planning and design consultancy Barton Willmore has revealed the city of Glasgow to be a frontrunner in the race to become the new regional home for Channel 4. 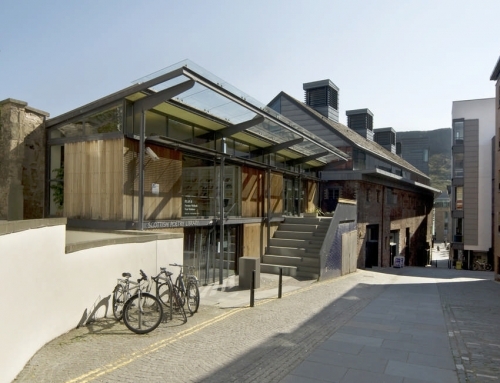 RSA Architecture Forum – What is the new Scottish vernacular? Cost: This event is free to all members of the CIOB. Non-members will be charged £10.